George Fontana is a freelance writer and recovering innkeeper, who divides his time between Key West and Cape Cod. Fondly known as Uncle George, he sings, he sails, and he is deeply involved in arts and culture. 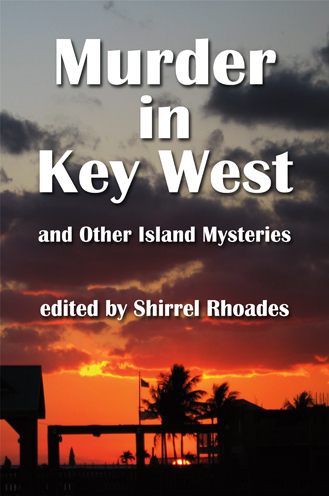 Note: This is not a book published by Absolutely Amazing eBooks; however, Mike Dennis is a contributor to our mystery anthology Murder In Key West and Other Island Mysteries, so we wanted to share this evaluation of his writing. A few years back, Mike Bunis created C C Ryder, a rollicking Duval Street piano bar. Bunis was known for his thundering Jerry Lee Lewis style keyboard chops. The piano bar became a pizza joint (such is the way of the world) and Bunis gigged around town before heading for the lights of Las Vegas to become a professional poker player. He's back…with a new gig and a new handle. In his new incarnation, he's Mike Dennis, published writer. Given his adventurous personal history, one might understandably suppose Dennis has written a captivating autobiography. Not so. To date his work includes The Take, a novel set in Houston and New Orleans, and Bloodstains on the Wall, a collection of noir short stories. Dennis is currently flogging his new novel Setup On Front Street which is the first of a trio of Key West noir novels. Don Roy Doyle is a Conch grifter. Adverse to the 9-5 tedium, Doyle scores on the mean back streets of Cayo Hueso, a scene seldom encountered by tourists seeking a blissed out Margaritaville experience. Set in '91, Setup On Front Street finds Doyle just back on the streets after a three year Government-paid vacation for a Vegas diamond swindle for which he took the fall. Doyle's first order of business is a visit to his partner in crime, Francis X. Sullivan. Sully avoided jail time for his part in the diamond caper and Doyle demands his share of the booty - 200K to be precise. Arriving in the island city on the lam, Sully built his pub, Sullivan's, into a tourist must-see destination. The walls are lined with photos of Sully and visiting celebrities, all of whom sought a piece of authentic local action. Not difficult to discern on whom the Sully character was modeled. Sully, now a prominent citizen, proudly informs Doyle that the money has been invested. Doyle is not amused. Things rapidly go downhill from this point. Norma, Don Roy's former squeeze, is turning tricks at the Fun House, a raunchy whorehouse on upper Duval Street. With Doyle off in the can,, Norma began an affair with the very married Wilson J. "B K" Whitney Jr., the mayor of Key West and seventh-generation scion to the Whitney legacy. BK's father, Whitney Sr., a Godfather-like presence on the island, handed his son his mayor's title along with the family influence. BK, for the record, stands for Boy King. Over his head in gambling debt, BK nudged Norma into hustling as a means of staving off his bookies. Hardly a model citizen, BK may well be an amalgam of Key West politicians, past and present. The non-stop action begins when Sully is found dead on Front Street, taken out with a slit throat. Doyle is the logical suspect. With the KWPD breathing down his neck and his probation on the line, Doyle, on the low, works his local connections and calls in a few favors to track down the real killer. Thus begins a tour of Key West venues seldom written up in any tourist guide book. The Israeli run tee shops that are a front for the Russian mob, Mambo's bolito games and booking operation and the Havana Lane home of Yale Lando, something of a legend for his impeccable ID forgeries provide a glimpse into the shadow workings of our island community. Against the geopolitical backdrop of a crumbling USSR, Russian-Cuban mob transactions, and the perceived opening of Cuba to American interests, Dennis pulls out all the usual whodunit suspects: Ortega, a snarky Key West Detective with a vendetta against Doyle, Ryder, a FBI operative who dogs Doyle for information (his name, Ryder, may be a not so sly reference to the author's former piano bar) and Yuri Vasiliev, a Russian goon commissioned to assassinate Doyle. For good measure, Dennis adds Rita, BK's long-suffering and sexually unfulfilled wife. Don Roy Doyle is a hard knocks guy who wants to do the right thing for Norma and himself. His hard-earned street smarts, plus lessons learned in prison, serve him well. When dealing with criminals, it takes one to know one becomes more than a hollow platitude. Understanding the double-dealing, cold-hearted mindset of his adversaries ultimately saves the day for Doyle and company although his enemies fare less well. Setup On Front Street is a quick summer read; it's a fun challenge to recognize local individuals and sites, some thinly disguised, others enticingly not. Mike Dennis has a sure knowledge of his setting and characters and a prepossessing writing style. I look forward to his autobiography.